Scalar Enterprises is a local web design company based in Portsmouth who specialises in offering a range of web services including web site design, internet marketing, search engine optimisation (SEO) and more to small and medium size businesses in Portsmouth and Southampton and the surrounding Hampshire areas. We believe in good old customer service and the “personal touch”. We prefer to work locally, face to face with our clients whenever possible so we understand you, your business and your needs. Our approach is then to look at finding solutions that meet your requirements and budget. Also, from a marketing perspective, the solutions need to integrate with your overall marketing strategy and other activities. We won’t build you something that just looks pretty but does little as a marketing tool. 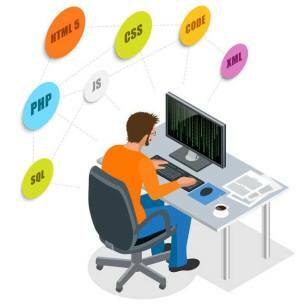 Scalar Enterprises provide a broad range of web design services in Portsmouth, Southampton and the surrounding areas in Hampshire. We specialise in helping small businesses and start-ups, as well as larger businesses, to get themselves established with a web presence and make it work for them. We can also work with you to improve your existing website if you already have one and can of course help larger and more established businesses as well. Statistics show that the number of people using their mobile devices to search these days is steadily increasing so it is important that your website displays well on mobiles and tablets as well as laptops and desktops. All our new web designs are built to be “responsive” which means that they automatically adapt to suit the screen size of the device they are being viewed on hence giving your site visitors a friendly experience and encouraging them to stay longer browsing on the site. Keeping your website fresh and up-to-date is very important, particularly these days with “content marketing” so you need to ensure there is always something new to bring back visitors to the site and ensure you can compete with your competitors. We understand that you are busy and updating your website is something that often gets neglected because of it. Scalar Enterprises can relieve you of the burden of updating your web site and also look at making it work better for you. Do you need a website but not sure where to start ? 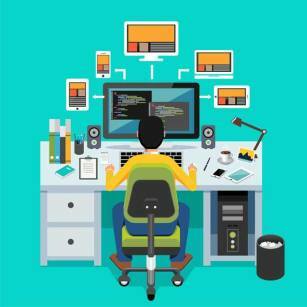 Don’t know how to get your web site up and running ? 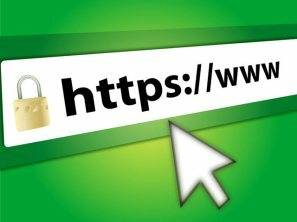 Is your website secure (using https) ? Is your website “mobile friendly” ? Want to improve your search engine ranking? Are you integrating your website with the rest of of your marketing channels ? Do you already have a web site but now want to increase your business by making it work better for you ? Long overdue updating your website ? Need a website review ? 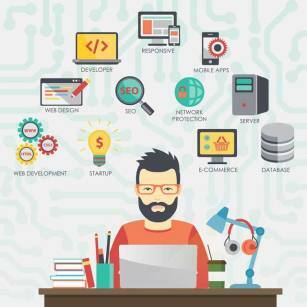 Need help with ongoing website maintenance ? Time to secure your website ! Not sure what to do or what you need for your website ? for a friendly chat so we can see how we can help you. Our initial consultation (up to 1 hour) is free so what have you got to lose! We often come across people who have had a website built for them but then find out that it is difficult, or sometimes even impossible, for them to edit or change the site contents themselves. Our websites are built so that our clients can edit the existing content and add new material as easily as possible if they wish to. We can of course also do this for you if you prefer us to, we can give you as much or as little support as you need, that helping hand when you need it. We have a number of local partner companies, who we know and trust, that we work with so together we can offer you all you need to get up and running including web design, web applications, e-commerce, graphic design, printing, web copy writing, photography, videos, marketing, PR and more. This is particularly useful for new start-up businesses who need a helping hand when starting out but also for our other clients as it allows us to offer a much broader range of services without the associated overheads and costs of having everything in-house. Take a look at our one stop shop service page for more details or call us on 02392 660794 if you have any questions. We do not outsource any of our work overseas. We only work with local business partners that we know and trust so we are doing our bit to create & support local jobs and businesses here in the UK and in our local area.